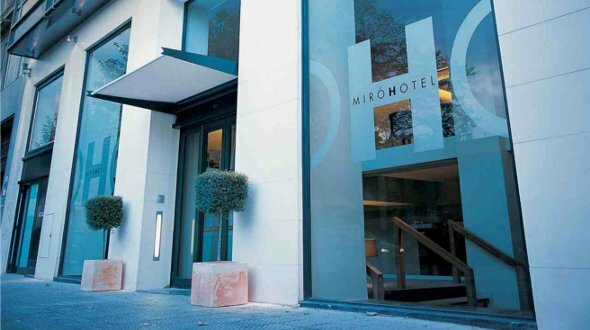 Bilbao has a wide range of hotels, to suit all budgets, from the luxury five-star to the humble two-star. 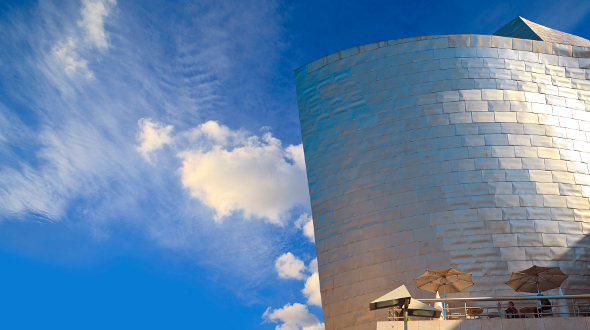 There’s a good choice of places near Bilbao’s main attraction, the Guggenheim Museum. Most of the large, modern hotels in Bilbao are in El Ensanche, the shopping and business district, while the old town has smaller guest houses, close to the night-time action. All have free WIFI and the larger hotels have satellite TV channels. 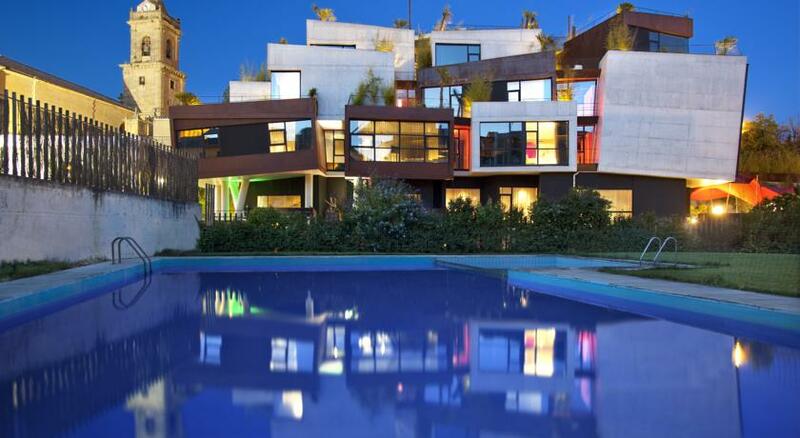 Price range (double room): expensive: over 100 euros; moderate: 50-100 euros; budget: under 50 euros. Due to Bilbao’s location just inland from the coast – the city is just 14km south of the Bay of Biscay – the city has an “oceanic climate”. This means that, because it’s so close to the sea, Bilbao weather remains mild all year round, unlike many other parts of Spain, with pleasantly warm summers (average 20 degrees C) and not-too-cold winters (average 9 C). Winds are usually westerly. As is typical of seaside towns, Bilbao gets plenty of rain; the wettest months being from October to April, with 100-150mm of rainfall; on one-third of the days in any year, there will be rain, though often light drizzle rather than heavy showers. Known as the gastronomic capital of Spain – some would say the world – San Sebastian has long been a favourite of visiting royalty and movie stars, with its picture-perfect sweep of golden sand, La Concha beach, bookended by mountains. The genteel, elegant city is also famous for its film festival, which is in the same top European league as Cannes, Venice and Berlin. 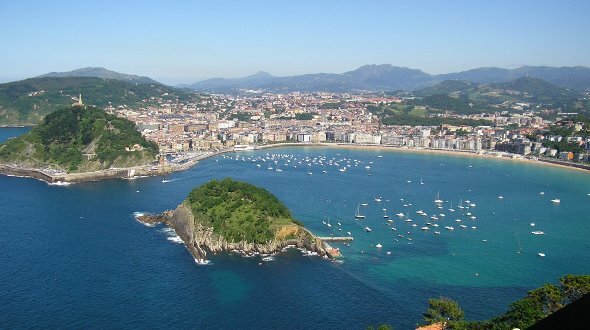 San Sebastian was voted 5th best city in the world to visit by readers of Conde Nast Traveler magazine. Royals started coming here in 1845, with Queen Isabel II of Spain setting the trend; many stayed at the venerable Hotel Maria Cristina overlooking the river. If your budget doesn’t stretch to this landmark establishment, you can still enjoy a stroll along the riverfront Paseo, with its gardens and funfair, which runs along on the other side of the spit to the famous La Concha beach, and soak up the Belle Epoque atmosphere of the wide boulevards. Where is the Basque Country? Situated in the north-eastern corner of the Iberian Peninsula, it’s bordered by Cantabria to the west, La Rioja to the south, and Navarra – and France – to the east. The region is divided into two geographical areas: Atlantic, to the north, with the rugged coastline and verdant, green countryside; then, separating the two areas, are mountains; and Mediterranean, to the south extending as far as the Ebro basin, where the land is flatter and drier. The three provincial capitals are Bilbao (Vizcaya province), San Sebastian (Guipuzcoa) and Vitoria (Alava). 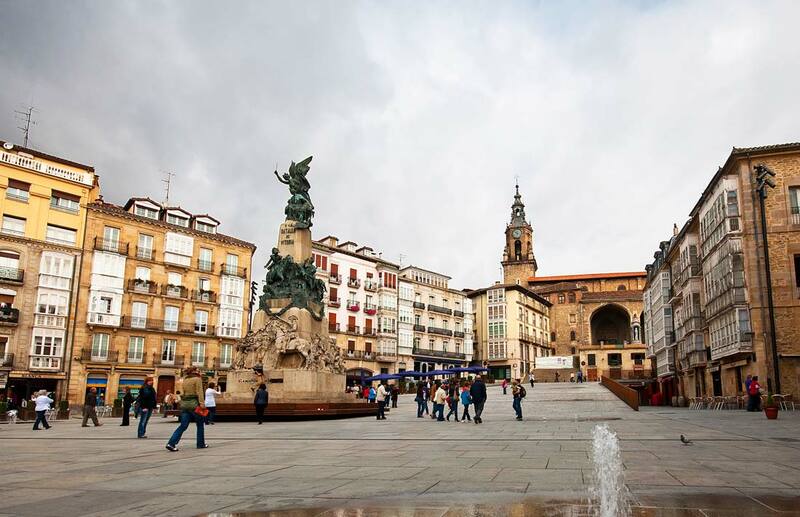 From seafood and pintxos to sagardoa and rioja, the Basque Country is a foodies’ paradise – not to mention the constellation of Michelin stars boasted by restaurants in and around Bilbao and San Sebastian. Here we explain about Basque gastronomy, its unique foods and drinks, plus the best restaurants in the two major cities of the region. 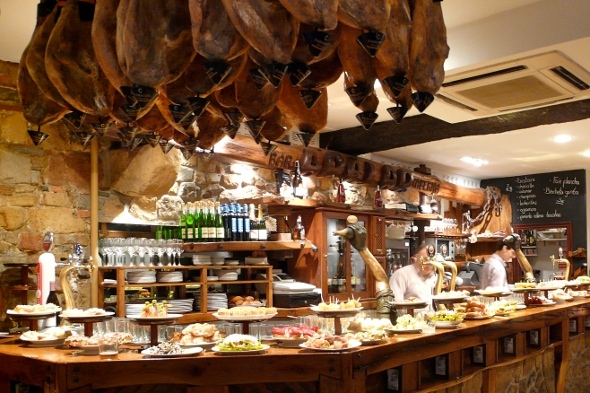 In the Basque country, as in the rest of the Iberian Peninsula, food is a key part of life, whether it’s eating local produce from the lush green valleys and mountains or going on a txikiteo (pintxo bar crawl). In terms of natural beauty the Basque Country really has it all. Lush green rolling hills, pristine natural beaches, dense forests and beautiful lakes, it’s one of the most picturesque regions of Spain. If you’re fortunate enough to be able to spend some time here, whether escaping the heat of the summer, wanting a gastronomic journey or a romantic getaway, its hotels really are outstanding. Here is our pick of the best rural hotels in the Basque Country.